Training Works offers employers a comprehensive range of services designed to impact positively on your recruitment, training & development needs. Working in partnership with you, we aim to ensure your business fully benefits from the services we have to offer and in return, becomes more productive and profitable, fully benefitting from lower staff turnover, lower recruitment costs and increased staff morale. We access government funding on behalf of local employers, in order to provide bespoke solutions to recruitment, training and staff development. 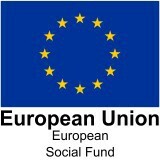 Most services are free to the employer and often grants are available to you, to offset any incurred costs. Full details of our funding and any potential employer contribution will always be discussed with you prior to agreeing any proposal. 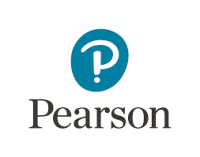 Training Works is fully accredited by TQUK and Pearson (Edxcel) awarding bodies to deliver qualifications. All our work is overseen by OFSTED and our main funders. Our free Recruitment Service takes the hassle out of any recruitment activity you have, leaving you to concentrate on running your business. We offer a free and comprehensive Training Needs Analysis (TNA) service. Our Employer Engagement Executives will, in partnership with you, explore and research your business, pulling together an informed Training Needs Analysis to inform future discussions and activity with you. Training Needs Analysis outcomes will be fully discussed with you, including the agreement of any outcome. We work in partnership with a number of high quality training partners, to ensure full coverage of any TNA outcome. Whether for new staff, or your existing workforce, funding is available to ensure that they have the right skills and competences to contribute effectively to your productivity and profitability. Research shows that a trained, qualified and content workforce will also reduce your staff turnover, further saving you money. All our training is carried out in the workplace by one of our professionally qualified Trainer Assessors. We aim for minimum disruption to your business, carefully balanced with a quality training experience. 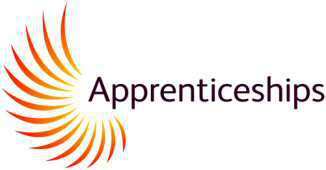 All of the above training sectors are available through the Apprenticeship programme. If your staff are following a training programme with us, our Trainer Assessors will visit each month to provide advice, guidance and support. Throughout the year, we deliver a programme of professional, certificated short courses – mandatory and non- mandatory. All our courses are fully accredited and free if linked with an appenticeship. For a full list please see Course Directory. Interested / Want More Information?